WHEN STORE IS CLOSED-CATERING IS ALWAYS AVAILABLE! “Banana pudding is the greatest thing on the planet"! At SMOKED, we use natural ingredients and promise to serve uncomplicated, clean, fresh food. We stand proud with a healthy and savory menu; using Cabot natural dairy products from Vermont, and farm fresh vegetables & herbs believing that healthy eating can be exciting, satisfying and fun! Our meats are of the highest-quality from reputable purveyors in the industry. We smoke steelhead salmon & vegetarian fed, non-hormone added chickens. 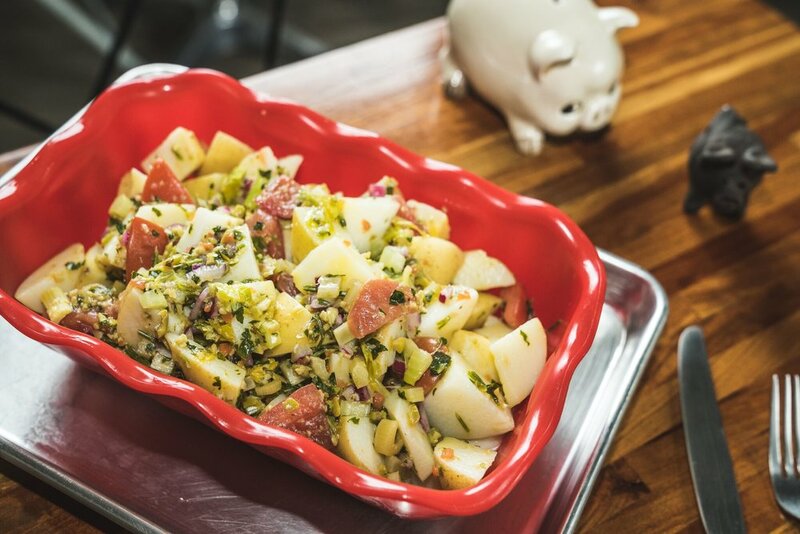 At SMOKED you'll find our recipes have more flavor and are high in fiber while using less salt and sugar. 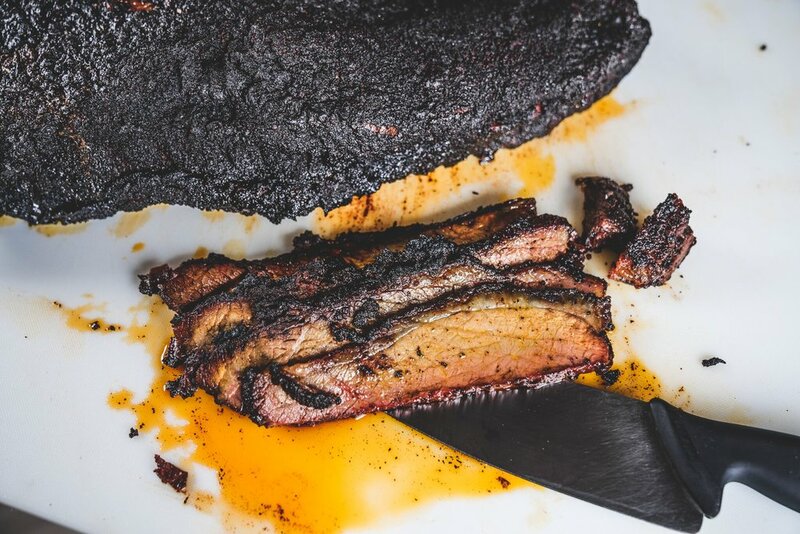 Our classic-style meats are smoked without sauces or "goop," allowing their fundamental flavors to stand on their own with a strong, remarkable signature. Long-smoked sticky ribs are available for those who enjoy for finger- lickin' goodness. We offer vegetarian dishes daily and include "smart-points" conscience recipes that leave only sumo wrestlers hungry. SMOKED foods are also kid-friendly; especially when paired with our homemade dessert choices. To keep our menu exciting, our staples are availavble daily and we rotate specials with seasonally inspired ingredients offering a creative blend of meal options. Visit see our ORDER page for today's selection from our kitchen. Chef Rob grew up cooking. Raised by foodies with an outdoor brick fireplace in the backyard, Rob's family used the "smoker" as a focal point of family gatherings. At the fireplace, stories were shared, cousins played, and everyone waited patiently (with a brew or two!) as the uniquely flavored foods slowly cooked. Continuing his father Bernie's tradition, Rob has been smoking foods with his own family, perfecting heirloom recipes and developing his own style. Many of Rob's own recipes have been influenced by travel. His appreciation for simple wholesome produce grew as he sampled international cuisine, and lead to his Tuscan-style approach to food preparation. Friends and family have relished Rob's cooking throughout the years, and after much prodding, he created SMOKED, where his uniquely satisfying recipes can finally be shared. Post a picture of yourself enjoying SMOKED at home to either Facebook or instagram tag @smokedtogo and win a cup of our renowned banana pudding!! From family gatherings to corporate events, it's always more delicious when you get SMOKED! Catering with SMOKED is a treat! A selection of slowly smoked meats are prepared on the premises daily. Natural flavors of hickory and other woods are infused into the meat through the smoking process, offering a delicious experience. Side dishes are made using seasonal vegetables, hearty grains and imaginative pairings. Call us to speak with our Catering Manager for assistance with party planning and menu design. Ricotta style, creamy 'n dreamy. Known to be an aphrodisiac. A meal from from SMOKED is a delicious, healthy gift for college students, friends or relatives who live too far away to stop by for a feast on their own. Meals are packed frozen in thermo-insulated packaging. Upon arrival- simply open packaging, defrost, & enjoy! Eat at room temp or heat & serve! Call us at 201-447-6653 or email info@smoked2go.com for info on pricing and availability! SMOKED: FIRST PLACE: BEST BBQ 2018! WANT TO CATER FOOD FROM SMOKED? GIVE US A CALL & WE'LL CREATE A MENU TO WOW YOUR GUESTS! 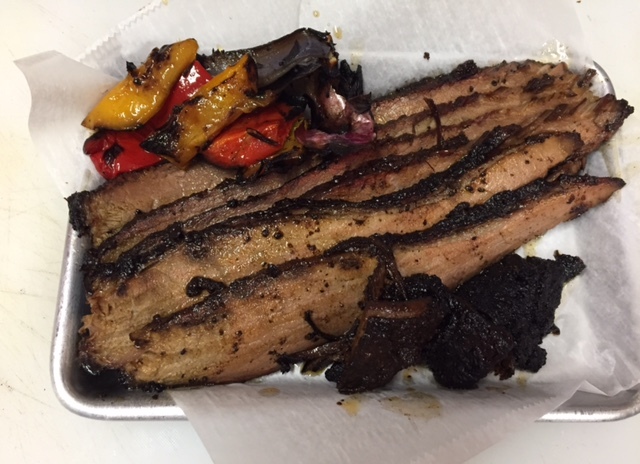 SMOKED is available to accommodate your catering needs even when our storefront is closed. Please leave a message and our Catering Manager will return the call promptly. join our email list! We'll send info about specials, giveaways & OTHER SMOKED FUN!